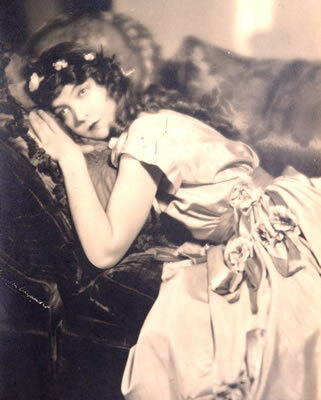 Lillian Gish was born in Springfield, Ohio, on October 14, 1893, and in 1902, she began acting in a local playhouse in Rising Sun, Ohio. Gish's career accelerated upon meeting director D.W. Griffith on a trip to New York City in 1912. Over the next thirteen years, Gish starred in forty different Griffith films, including probably his most famous film, Birth of a Nation, in 1915. She was one of the leading silent film stars of the 1910s and the 1920s. Throughout her career, she often toured and starred alongside her younger sister Dorothy Gish (1898-1968), who specialized in comedic roles, whereas Lily was known for her dramatic performances.